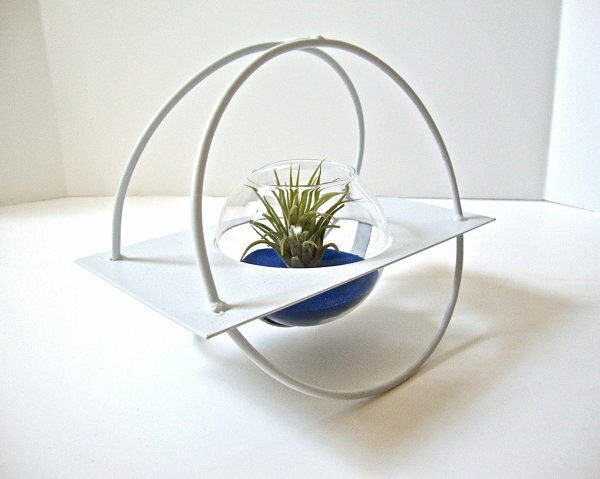 Air plants are hardly a new phenomenon. 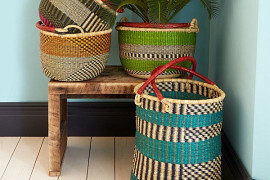 Yet as their popularity continues to grow, so do the possibilities for displaying these low-maintenance plants in style. In fact, earlier this spring we presented a post on air plant display options, from pods to mineral gardens. 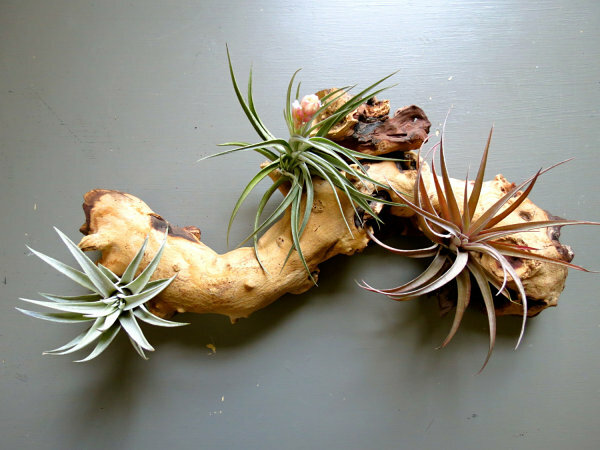 Today we feature even more air plant display strategies, showcasing a new batch of ideas. 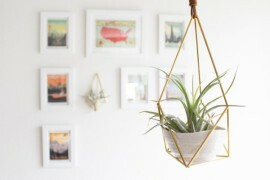 Air plant display trends are constantly evolving. 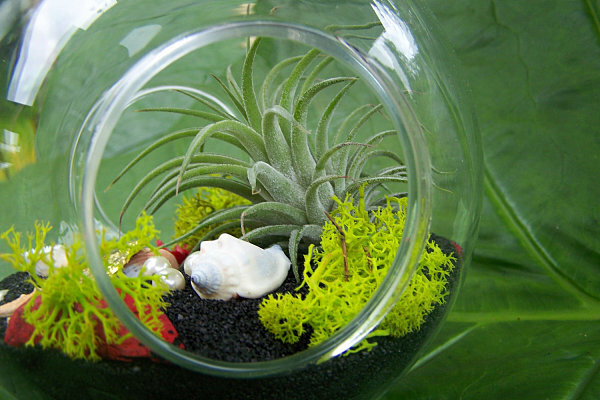 Glass globes have been consistently popular from the start, and soon placing the plants in shells such as sea urchins caught on. 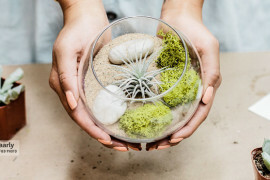 Thanks to sites such as Etsy, many talented artisans are continuing to come up with innovative ways to create air plant containers, many of which showcase some of today’s top trends. 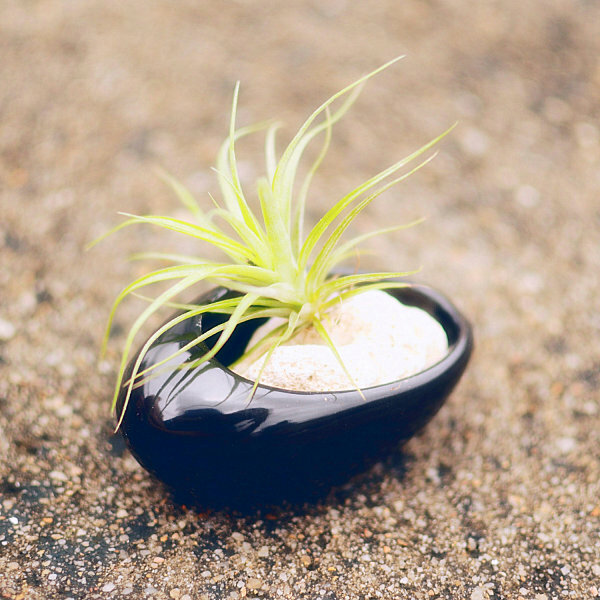 All of the featured items below come from Etsy shops–we are thrilled to shine the spotlight on the latest in air plant display options. Enjoy! 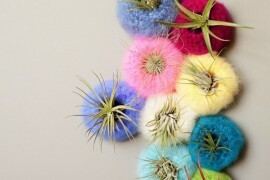 Lately we’ve been seeing a slew of upside-down sea urchins with air plants pouring out to create the look of jellyfish. This next selection is unique in the fact that it DOESN’T involve the use of a sea urchin. 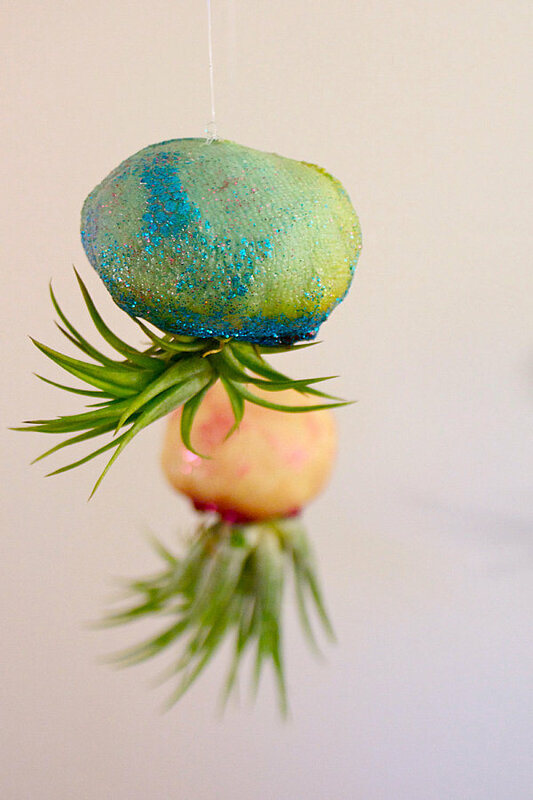 In fact, these Whimsical Jellyfish Air Plants from Jellyfish Kisses are crafted from polymer clay, glitter, and healthy air plants, of course! 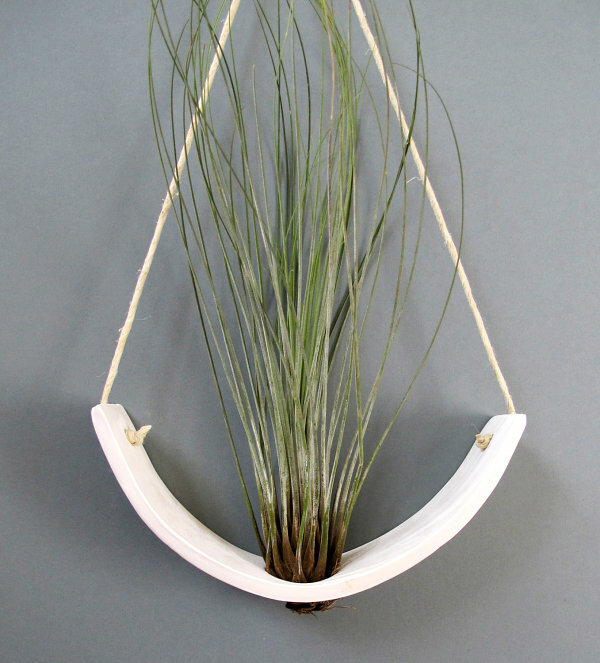 Next we see the Hanging Air Plant Cradle from mudpuppy, which boasts a sculptural look, thanks to its curved form. Each cradle is hand-crafted from unglazed natural white earthenware clay. 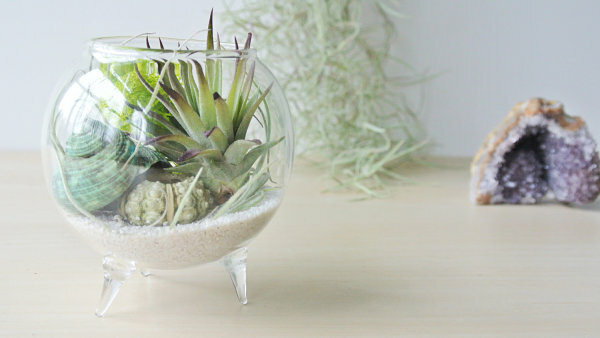 A hole in the center creates a display spot for the air plant. Purchase one, or display these works of art in groups. 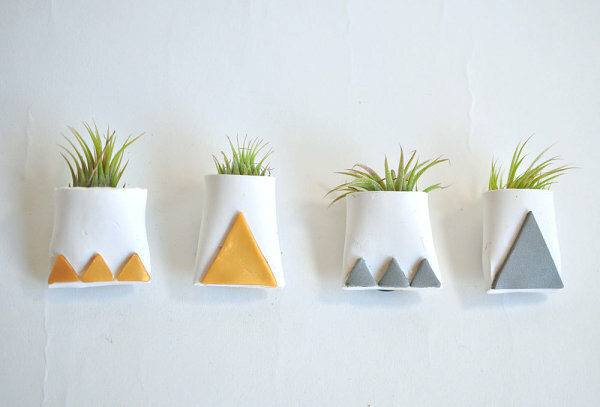 These Magnetic Mini Air Plant Planters from Clay de Lys hang on the wall. 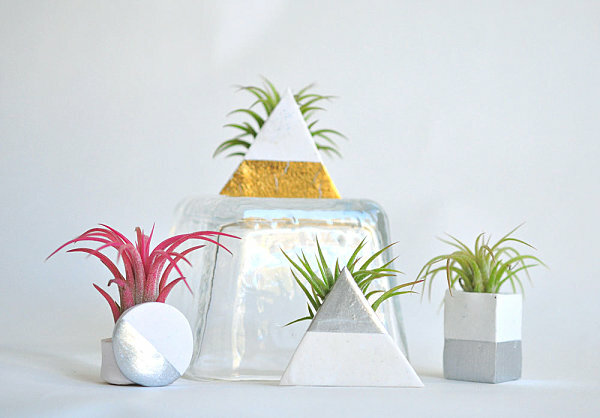 With their geometric motifs and metallic detailing, they are the perfect size for tiny air plants. And yes, they’re really magnetic! Display them on the fridge, the file cabinet and more. We now move from hanging containers to ceramic planters by featuring another masterpiece from Clay de Lys. Created from polymer clay, gold and silver leaf, these geometric containers (such as the Triangle with Silver Leaf) are very on trend, thanks to a color-blocking effect created by the addition of metallic details. 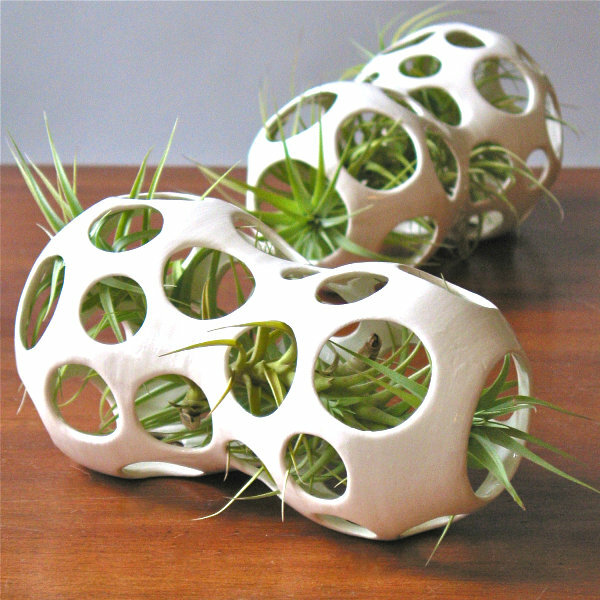 An organic form with plenty of holes for excellent ventillation, this Winnie Pod with Air Plants from iloveairpods is a hand-crafted earthenware ceramic plant holder that ships with its own air plant. As you can see, each selection has plenty of room to accompany a large display of greenery! 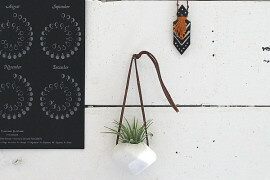 Check out this Egg Shape Black Ceramic Container from My Little Plants. 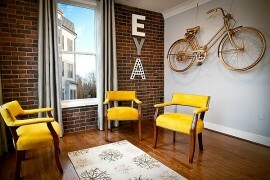 It’s sleek and unique, and it would make the perfect decorative accent or wedding flourish. 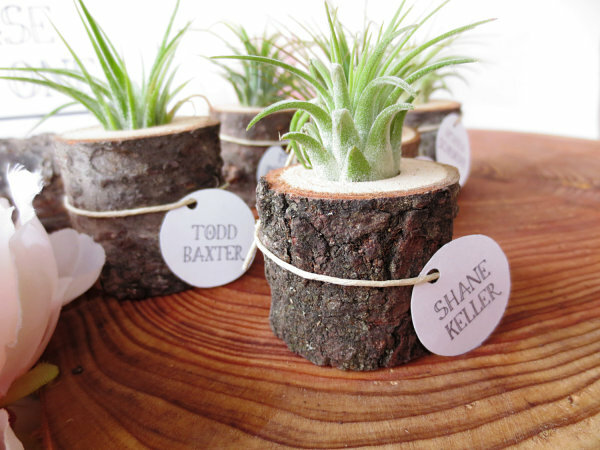 Many of today’s most popular and unique air plant containers are made of wood. This Caput Medusa Air Plant on Wood from Air Plant Studio is crafted from a cedar wood stump that is three inches wide and three inches tall. 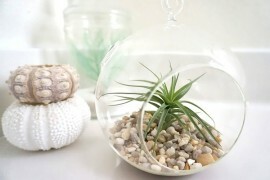 A pre-drilled hole creates a resting spot for the air plant and makes it easy to remove the plant for watering purposes. For a similar idea, check out this Tiny Air Plant Living in a Tree Stump from This Fine Day. 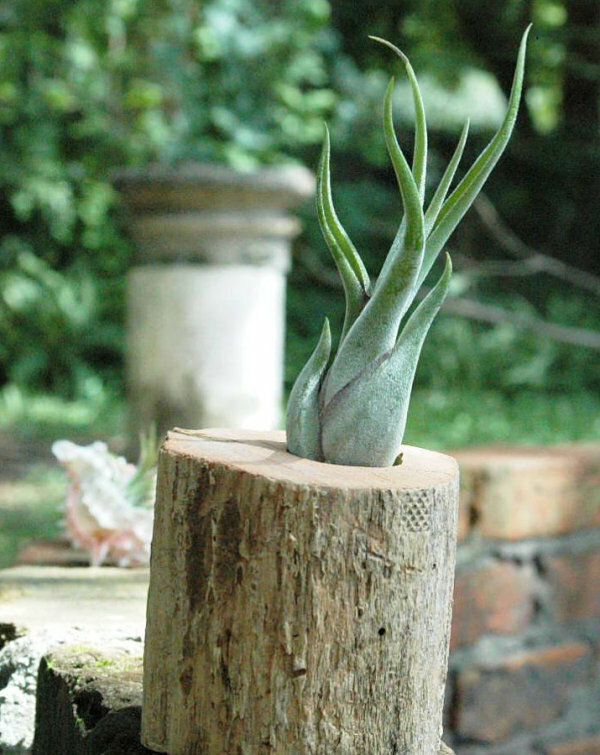 Made from fallen tree wood, the “planter” makes a perfect gift or favor. While the exact species of wood will vary based on availability, you are welcome to request a specific color of wood to meet your design needs. We end with a collection of air plant terrarium selections that creatively contain your greenery–often with additional design features! This Air Plant Terrarium on Black Beach with Pearls from Air Plant Studio features a nautical theme, complete with black beach sand and pearls. Glass feet elevate this New “Purple Tips” Air Plant Terrarium from The Zen Succulent, creating an elevated take on the typical glass sphere. Preserved lichen, reindeer moss and a live green air plant help achieve a unique display. Love that amethyst specimen in the background! It’s all about geometric shapes these days. 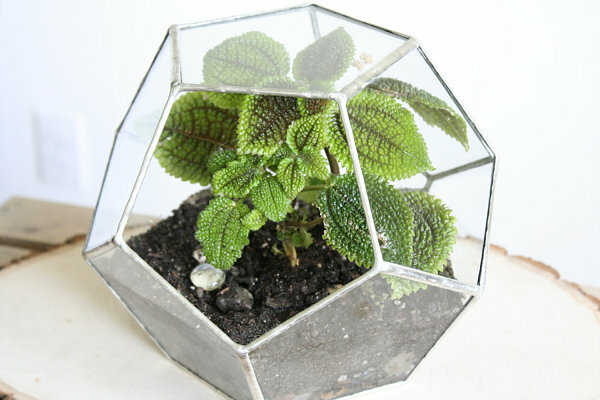 Which is why this Stained Glass Dodecahedron Terrarium from Crystallographie is such a standout. 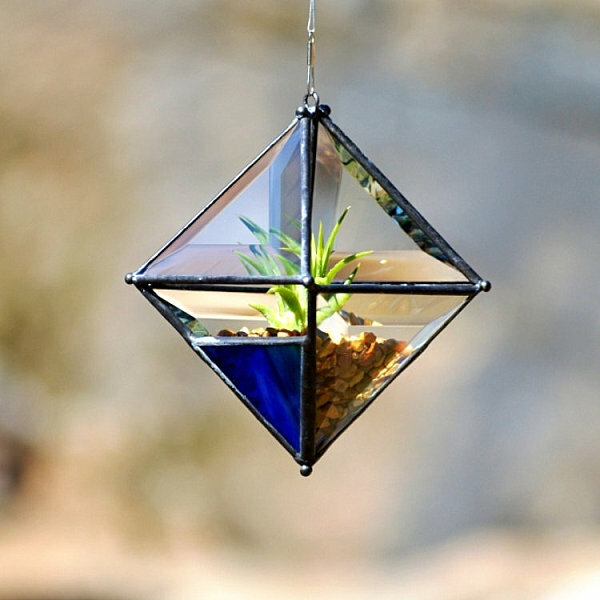 Not only is it crafted entirely by hand from reclaimed window glass, it’s perfect for plants of all types, especially air plants. An open facet allows for proper ventilation. 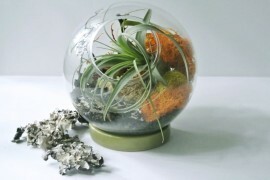 Our final featured selection: an air plant terrarium that takes indoor gardening to a rockin’ new level. Yes, it’s the Air Plant Rocking Chair Glass Terrarium from eGardenStudio, which can move back and forth like a rocking chair! A glass vase and a white-painted metal stand are the materials of choice. 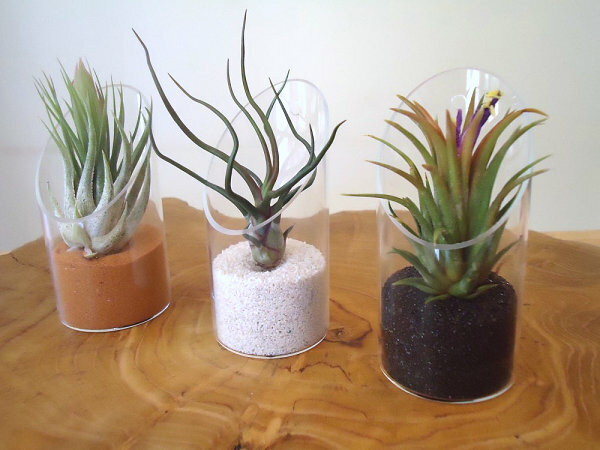 From hanging containers and wooden planters to ceramic holders and glass terrariums, today’s air plant display possibilities are endless. 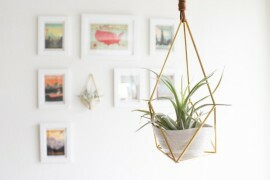 Just as the popularity of air plants continues to grow, so does the number of unique options for housing them in style. A special thanks to today’s featured Etsy artists for inspiring this post!